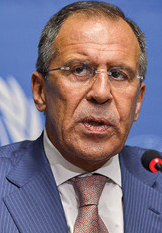 Sergey Lavrov is Minister of Foreign Affairs of the Russian Federation. International relations are going through a complicated stage of development—as one historical epoch replaces the other, with a new polycentric world order now taking shape. It is a process accompanied by increasing instability—both at global and regional levels. Risks of deeper inter-confessional and inter-civilizational splits are growing. The world economy remains unstable, and might still relapse into crisis. The global situation has been deteriorating recently, with new dangerous hotbeds of tension emerging, in addition to old conflicts. An upsurge of terrorism and extremism, both in the Middle East and North Africa, are causes of serious concern. The security situation in Europe is all but satisfactory. We had hoped that a Europe that had endured two World Wars and then the Cold War would finally embark on a road to prosperity, mutually beneficial partnership, and peaceful sustainable development for the benefit of present and future generations. All the necessary prerequisites were in place. Irreconcilable ideological differences that had divided our continent in the twentieth century had been removed. In November 2014, we celebrated the 25th anniversary of the fall of the Berlin Wall, which had symbolized them. Unfortunately, at that juncture the chance to overcome the dark legacy of the previous era, and decisively erase the dividing lines, was missed. The principles set forth in the Helsinki Final Act have not been translated into legally binding documents. Despite Russia’s repeated calls and decisions adopted by the OSCE and the NATO-Russia Council, the task of creating a common space of peace, security and stability in the Euro-Atlantic area has not been accomplished. The United States and its Western allies—having proclaimed themselves the “victors” of the Cold War—have repeatedly breached key provisions of international law—attempting to impose their own will across the world. They have since continued the vicious practice of dividing nations into “friends” and “foes,” whilst playing dubious zero-sum geopolitical games. Assurances that the North Atlantic Alliance would not expand eastward—which had been given to the leadership of the Soviet Union—turned out to be empty words, for NATO’s infrastructure has continuously drawn closer to Russian borders. Under the EU Eastern Partnership program, attempts were made to force the “focus states” to face artificial and false choices (“you’re either with us or against us”) and destroy their historically diverse ties with Russia. Moreover, visa barriers remain, as an anachronism that hampers the expansion of trade, economic, humanitarian, and cultural ties, and contacts between people. This is by no means Russia’s fault. 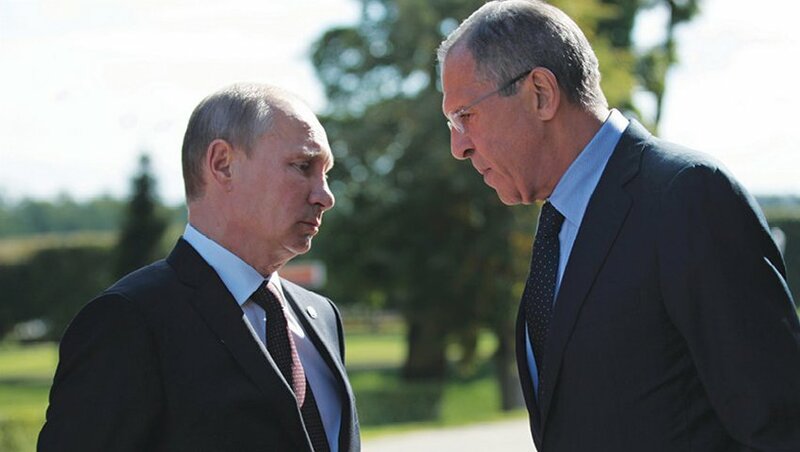 Russia’s interests were often ignored—and Russia’s initiatives, including the elaboration of a treaty on European security, rejected or shelved. Yet historical experience shows that attempts to isolate Russia invariably had dire consequences for the whole of Europe, while our country’s active involvement in the continent’s affairs brought about long periods of peace and stable development. This negative trend culminated in the Ukrainian crisis. We have repeatedly, and in various formats, warned that attempts to make Kiev choose one vector of its foreign policy—either West or East—bode most serious adverse consequences for Ukraine’s still fragile statehood. We were not heard. As a result of the coup d’état supported by the West, and the subsequent armed seizure of power, Ukraine found itself on the brink of disintegration. Under these circumstances, the freely expressed will of the people of Crimea was simply a response to the actions of ultranationalists, who plunged their country into the abyss of civil war instead of striving to consolidate Ukrainian society. Despite the complexity of the situation, it is our firm belief that peace and concord can still be reached in Ukraine. An inclusive national dialogue is vital for success, as stipulated in the April 17th, 2014 Geneva Statement by Russia, the European Union, the United States, and Ukraine. Obviously, the rights and interests of all regions and citizens must be fully guaranteed without exception. Russia has consistently supported ongoing efforts within the framework of the Minsk Process, which should primarily include direct contacts between Kiev, Lugansk, and Donetsk, as well as take into account the elections held in Donbass. In order to prevent the further disintegration of Ukraine, it is essential that the country retain its neutral status. We will continue to contribute in every way to a favorable climate for resolving large-scale problems with which the Ukrainian people have to deal. At the same time, it should be understood that attempts to put pressure on Russia through unilateral sanctions—which are illegitimate and have been condemned by the UN General Assembly—will not make us forego what we think is right and just. Developments in Ukraine also affected the dynamics of Russia’s relations with the European Union. Brussels’ double standards in assessing the situation in Ukraine, continuing attempts to shift the blame for the tragedy in Ukraine to Russia, and its pursuit of a course of action based on restrictions and threats, have seriously undermined European stability—aggravating the situation through lack of confidence and the absence of a common vision of how to build a reliable Euro-Atlantic security architecture based on equality. We expect that partners will find the strength to switch to a constructive and pragmatic search for solutions to the accumulated problems. We are convinced that the profound interdependence between European states leaves no reasonable alternative to continued constructive and fruitful cooperation between Russia and the EU. The European Union is our major trade and economic partner. Russia will remain Europe’s key energy supplier for the foreseeable future. Our country has always complied, and will continue to strictly comply, with its obligations in this field. It is obvious that, without pooling the capabilities of states situated in the Eastern and Western parts of the European continent, Europe will not be able to secure its rightful place in a new international system characterized by increased competition on all tracks. President Vladimir Putin introduced the idea of gradual harmonization of European and Eurasian integration processes—including the proposal to establish a Free Trade Area between the Eurasian Economic Union and the European Union by 2020. There can be no doubt that it would be much easier to solve many European problems if we could agree to jointly promote our common strategic goal—namely, the gradual establishment of a common economic and humanitarian space from Lisbon to Vladivostok based on the principles of indivisible security and broad cooperation. We have all the necessary prerequisites to accomplish this challenging task, including common civilizational and cultural roots, a high degree of convergence between our economies, the commitment to a single set of trade rules based on WTO standards, and a shared interest in promoting innovation-driven growth. For the time being, alas, we are witnessing the opposite trend. NATO’s instant shift to the rhetoric of confrontation and to curtailing its cooperation with Russia, along with an increased military presence in close proximity to Russia’s borders, clearly prove that the Alliance is unable to overcome Cold War stereotypes. Regrettably, today’s NATO essentially remains a vestige of the previous era. In our opinion, the Helsinki +40 Process—launched on the occasion of the OSCE jubilee—could facilitate tackling systemic problems in this area, for the Organization was conceived precisely in order to dismantle barriers of any kind. Obviously, this will require a reaffirmation of the principles of respect for national sovereignty and non-interference in the domestic affairs of participating States—including the inadmissibility of subversive actions, and support for unconstitutional change of government. It is our hope that the 2015 Serbian OSCE Chairmanship will act along these lines—that Belgrade will pursue a constructive and objective policy providing for a balance of interests of all the Organization’s participating States. Success in combatting terrorists can only be achieved through the joint efforts of the international community, based on the principles of international law and with the UN adopting the central coordination role. We propose that a comprehensive analysis of all the aspects of the problems that have contributed to strengthening extremism and terrorism in the region should be carried out under the auspices of the UN Security Council—including the Arab-Israeli conflict. Such a discussion would help design adequate measures to support the peoples of the region in ensuring peace and prosperity. Recent experience makes it clear that the chances of success multiply when the international community manages to overcome its disagreements and consolidate its potential to solve existing problems. This is convincingly demonstrated by the successful conclusion of the process of chemical demilitarization in Syria, and by joint efforts to fight the Ebola virus. Russia’s initiatives aimed at finding a solution to the situation surrounding Iran’s nuclear program—based on a phased approach and the principle of reciprocity—gained broad international support. It is, therefore, obvious that progress in this area would have a positive influence on the situation in the region, and would promote efforts to establish a zone free of weapons of mass destruction in the Middle East. At the November 23rd and 24th, 2014 meetings in Vienna, the Foreign Ministers of the P5+1 group noted that considerable progress had been made in this respect; this alone, however, is not sufficient for a final agreement. A sequence of further steps was also specified. We intend to continue intensive negotiations in order to achieve a comprehensive settlement as soon as possible. The situation in Afghanistan also requires joint actions, in part because the ISAF mission is coming to an end. The country is quite unstable and remains a source of serious threats—such as terrorism and drug trafficking—to the territories of neighboring states, including those in Central Asia. We hope that common sense will help overcome irrational obstacles to starting practical cooperation between NATO and the Collective Security Treaty Organization. It is important to increase efforts on the Afghan issue in other formats as well, namely within the frameworks of the United Nations and the Shanghai Cooperation Organization. Russia is trying to do its best to promote positive and unifying trends in international affairs. That is the main objective of our efforts to foster Eurasian integration processes. The January 1st, 2015 launch of the Eurasian Economic Union, comprising Belarus, Kazakhstan, and Russia—Armenia will join soon, to be followed later by Kyrgyzstan—is a major contribution to the development and stability of the post-Soviet space and neighboring regions. Australia’s G20 Chairmanship in 2014 were largely based on decisions taken at the St. Petersburg Summit. In 2015 Russia will chair the BRICS—a group playing an increasingly significant role in world affairs. The outcomes of the Fortaleza BRICS Summit enhanced global stability across its diverse dimensions. The establishment of the New Development Bank, with initial authorized capital of $100 billion, as well as the BRICS Contingent Reserve Arrangement of the same initial size, is designed to maintain a balance within the complicated situation of today’s international monetary and financial system. A commitment to enhanced, full-fledged, open, and inclusive cooperation—in particular within the economic and financial domains—was reaffirmed at the meeting held by BRICS leaders in Brisbane on the sidelines of the recent G20 Summit. We are making preparations to host the next BRICS Summit in Ufa in July 2015. Lately, a lot has been said about Russia’s pivot to the East. It was, among other things, portrayed as an alternative to the development of our contacts with the West, which have seen a downturn. In this context, I would like to emphasize the importance of the multiple-vector principle that is the backbone of our country’s foreign policy—which is quite natural for a state with a vast territory, history, and traditions, such as ours. Turning our country towards the Pacific is a national priority for the twenty-first century, and is directly linked to the dynamic development of Russia’s eastern regions. We would, of course, prefer to take this step in tandem with steps to strengthen our links with Europe, rather than instead of that. On this issue, however, we cannot but take into consideration the decisions adopted by our European partners. A positive example of building productive, future-oriented relations is the intense development of Russian-Serbian cooperation, which has by now grown into a strategic partnership. President Putin’s October 16th, 2014 visit to Belgrade was the occasion to reach new agreements. Once again, total coincidence or similarity of our approaches to the agenda under discussion was manifest. The profound and durable nature of the historical ties between the peoples of our two countries was reaffirmed by the official visit of Patriarch Kirill of Moscow and All Russia to Serbia, which took place a month later, on November 14th to 16th, 2014. In this regard, I would like to comment on increasing attempts to impose on Belgrade the false choice of opting for either the EU or Russia. We proceed from the fact that Serbia is a sovereign state pursuing an independent foreign policy, including in respect to the European integration. It is clear that there are numerous obstacles along the way to potential membership, from unresolved issues stemming from the Yugoslav conflict (which are being felt across Serbian society), to major and painful reforms being undertaken in various fields. Hence, these and other questions come to mind: to what extent can the European Union—growing weary of its own enlargement—take all these aspects into account, and to what extent can it show patience and tact? The Kosovo problem remains a serious challenge, since Priština’s patrons view Serbia’s recognition of Kosovo statehood as the “price of admission” to the EU. Belgrade should make independent decisions on all these aspects. As for Russia, we have said candidly to our partners—in both Serbia and the EU—that, as a matter of principle, Belgrade’s advancement towards European integration is not rejected on the premise that this must not undermine Russian-Serbian relations and our joint projects—all the more so since they constitute no threat to Brussels. The choice to which Serbian leaders refer means both EU membership and maintaining relations of friendship and cooperaton with Russia. This is a sovereign choice which deserves respect. It is based on the opinion of the majority of Serbia’s citizens, and fully meets the country’s political and economic interests. We call on our partners in Brussels to behave adequately, and to avoid linking progress in the accession negotiations to breaking Serbia’s natural bonds with Russia. Rather, we believe that respectful dialogue and constructive cooperation involving all stakeholders, including contacts between Moscow and Brussels, would help eliminate unnecessary tension, whilst ensuring that Serbia’s EU integration process is beneficial for everyone. Should this approach prevail, rather than being perceived as an apple of discord, Serbia could become a bridge linking the West and the East of our continent. Russia and Serbia, while enhancing our joint participation in finding solutions to the numerous problems of the modern world on the basis of equality and mutual respect. In conclusion, I would like to wish the staff of Horizons further success in their creative work, as well as to wish all the best to the magazine’s readership.